The FNS50315 Diploma of Finance and Mortgage Broking Management qualification from Mentor Education is the superior choice for new entrants into this dynamic profession and the ‘Diploma Upgrade’ has been designed for existing advisers to upgrade their current Certificate IV qualification. The course is suited for those looking to enter the finance and mortgage broking industry, or who are already working in the industry and want to take the next step in gaining qualifications providing the knowhow needed for advice and management roles in the finance and mortgage broking industry. Students can commence studying towards a mortgage broking career by either completing the twelve-month Diploma of Finance and Mortgage Broking Management qualification or the shorter six-month FNS40815 Certificate IV in Finance and Mortgage Broking. Enter the field or advance your standing in the mortgage broking industry with confidence! Finance and Mortgage Brokers play a significant role ensuring retail and business clients obtain professional advice on loans to suit their individual requirements and employers are increasingly looking for candidates who are equipped to meet the challenges of being a successful finance and mortgage broker. The financial services industry for mortgage broking professionals is a rewarding career and continues to show strong growth, providing numerous opportunities for skilled, professional graduates. The FNS50315 Diploma of Finance and Mortgage Broking Management is suited to those who aspire to or are currently employed in the mortgage broking industry and are seeking to achieve the educational requirements of ASIC's Regulatory Guideline 206. In this ever-changing marketplace of digital natives, employers are increasingly looking for candidates who are equipped to meet the challenges of servicing a range of complex financial services clients. Those with professional and practical skills in finance & mortgage broking management will have an edge over their peers, offering a higher calibre of professional and ethical services to their clients, enabling you to build trust and lasting client relationships. This is an open entry course with no pre-requisite qualifications. In order for you to successfully complete this course, it is recommended that you have a strong literacy and numeracy skills. Students may wish to undertake the completion of the FNS40815 Certificate IV in Finance and Mortgage Broking qualification prior to completing the ‘Diploma Upgrade’ component of this course as a scaffolded, two-step process. Upon successful completion of this course, you will be awarded the FNS50315 Diploma of Finance and Mortgage Broking Management qualification, a nationally recognised formal qualification. This course is designed for new entrants from any walk of life seeking to become mortgage brokers, commodities brokers, investment brokers and general financial brokers. The course objective is to qualify graduates to offer finance and mortgage broking services. It has a strong practical, experiential focus which encourages application of principles in a professional, ethical and client centric manner. It is expected that students will spend 1300 hours in learning and related activities if completing on a full-time basis over 12 months. Students who have extensive industry experience will be expected to complete it in a shorter period. This course provides the skills and knowledge required for advice and management roles in the finance and mortgage broking industry, equipping you to work independently or in team. During your studies, you will apply your theoretical learning in various practical case-study based scenarios, to deliver solutions and judgements in finance and mortgage broking planning activities. * Unless stated otherwise, this offer is only for select online Certificate, Diploma, Advanced Diploma qualifications, Short Courses and Skill sets listed on this web page and requires full upfront payment. Unless stated otherwise, no payment plans available for discount offers. Unless stated otherwise, no discounts available for Workshops. 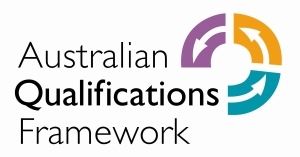 Unless stated otherwise, to be eligible for discounts, you will need to have fully paid for your course enrolment before 22/05/2019, 4.00pm AEST.. Cannot be used in conjunction with other offers/existing quotes or applied to past enrolments. Discounts are based on recommended retail price listed on the Mentor Education website as at 01/04/2019.